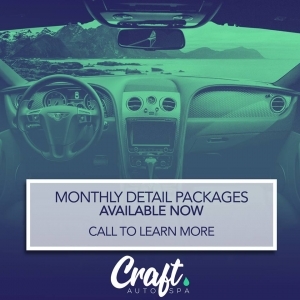 One of the most common questions that we get as an auto detailing company in Tampa is whether we change our detailing process based on the vehicle. We understand that no two paint jobs are alike. We also understand each manufacturer has its own standards for their paint jobs. This means that as auto detailers in Tampa, we have to adjust our methods to preserve the paint job of each vehicle. Almost every manufacturer uses quality coatings and durable clear coats. Detailing using the right products can help to make sure that we preserve the look of each paint job. In addition, we can prevent the chance that a particular coating can erode over time and more. The slickness of paint also varies based on the manufacturer. Our staff receives training based off of manufacturer specific requirements on paint care. We are always sure to use ultra soft microfiber rags for detailing. We make sure that the services we provide protect each coat no matter what manufacturer your vehicle is from. Certain manufacturers have paint that is not only treated to be much thicker and durable, but also slicker which needs extra care. This is often why we take a very different approach to cleaning a Honda vs a Mercedes or Jaguar. Manufacturer paint quality changes between vehicles. However, auto detailers can manage these requirements and adjust services accordingly. This is important to preserving your vehicle over time.